I chose Lemonade Phoenix as my name because I am always having to make Lemonade from this sour life and refuse to let its fire destroy me. You can’t make Lemonade though from lemons alone, you gotta be the sweetness that transforms it. And that’s me, sweet and tart and full of fire! 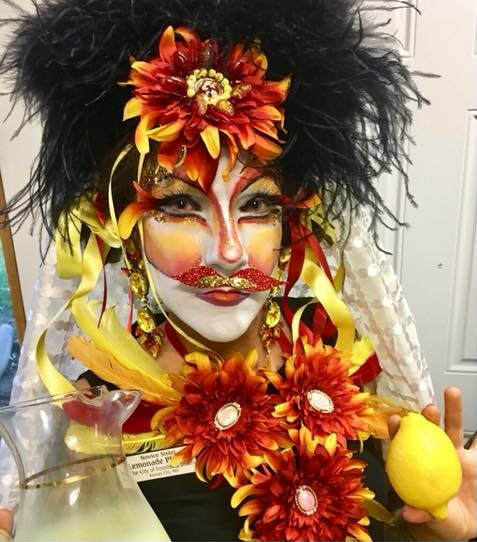 Lemonade Phoenix is a local visual artist in KC, painter, cake decorator, costume maker, performance artist. She keeps her hands busy to keep her mind still. She first heard of the Sisters through her friend Sister Hunny Bunches of Oaths. So inspired by Hunny’s stories of the Sisters community activism and theatrical creativity, she had to check them out for herself.